Hundreds of celebrities come to Dragon Con every year. 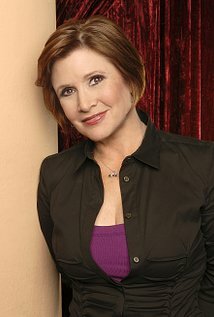 One of the most entertaining celebrities I have seen was Carrie Fisher. OMG She is a hoot. I have never laughed so hard. She talked about her books, her mom, Star Wars and everything in between. She had some of the funniest stories I have ever heard. At one point she got up and stood on the table. Seriously I was almost peed in my pants at a few times. She was so good they replayed her panels on Dragon Con TV in the hotel rooms. It takes a really cool guest to get that privilege. After the con, I got her book Shockaholic and liked it quite a lot. I am so excited to see that she is going to be in the new Star Wars movies. I think she is an excellent actress and a very very funny lady. Check out her books. I highly recommend them.